Last week I wrote about Triosence, who recorded their latest album in Norway, at Jan Erik Kongshaug’s legendary Rainbow Studios. The album below is recorded at the same studio, however, unlike the German trio above, they didn’t have a long trip to get there, as they are from Norway. Helge Lien, before getting relatively well-known with his own trio, was playing with singers like Silje Neergard. 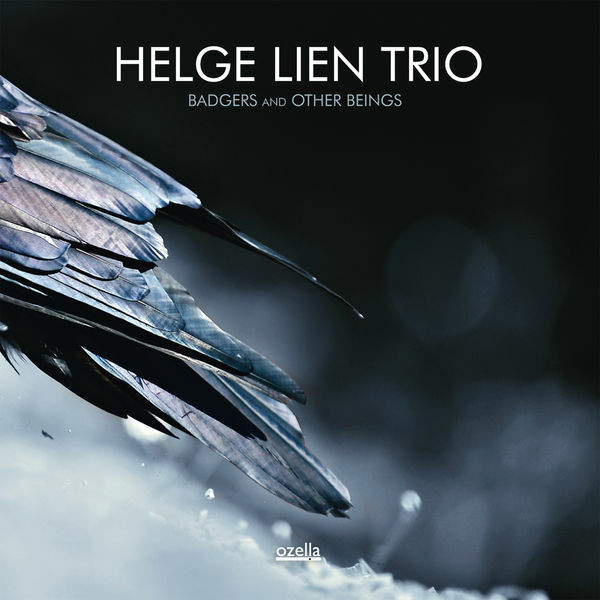 Since 2008 the Helge Lien Trio (with Frode Berg on bass and Per Oddvar Johansen on drums) has released three albums, approximately every three years, Hello Troll (2008), Natsukashii (2011), and Badgers and Other Beings in 2014, all on the excellent Ozella Music label (see also my review of Edgar Knecht from the same label). For the audiophiles among my readers, all are available as high-res downloads and worth it. Note that this is the first time Johansen joins the trio, replacing Knut Aalefjær (who get’s a dedication in the song Knut). I could have chosen to review here any of the three, when I checked my iTunes ratings, all have the same mix of four star tracks with 3-4 five stars on each, and I wouldn’t want to miss any of them in my collection. So let me just take the latest release, which has been in pretty heavy on my system since I bought it just after it came out. All tracks on this album, as usual with Lien, are his originals, no standards here. Already the starter track is very beautiful, Mor (apparently meaning mother in Norvegian). The example above shows everything I like about this album, beautiful, complex melodies, and an interaction between the musicians that shows that they’ve been together for a long time and can follow each other blindly, and this in spite of the fact that Johansen is a new addition to the trio. The following Joe is more uptempo, but keeps the same mood, and is another one of my five star tracks. My other two favorites are The New Black and the final track, Badgers Lullaby, where Johanssen on drums gets featured more prominently, and where time truly stands still, while fully drawing you into this very particular Nordic world. My rating: 4 stars (but pretty borderline to five, I’m still hesitating whether I should start giving 4.5 stars at some point). You can download it here (Highresaudio.com) and here (Qobuz) in 24/192 resolution, and at Bandcamp you’ll get a cheaper regular CD resolution download and you can even purchase a limited edition vinyl edition.